Penta IS701C is also known as BSNL Tab manufacture by Pantel. 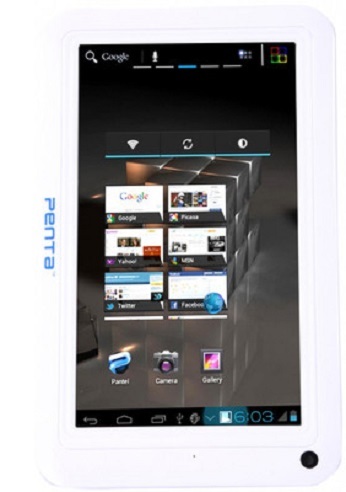 Penta IS701C is one of cheapest Tab which comes with various features in such low price. BSNL Penta IS701C have WI-FI enable. It is Powered by Android 4.0 OS and ARM Cortex A8 1GHz Processor. BSNL Penta IS701C have 512 MB RAM, 4GB internal storage and can be expanded up to 32 GB RAM. BSNL Penta IS701C have 7 inch capacitive Multi Touch Screen. 0.3 MP Camera embedded for video chat. Tab Supports 2G & 3G via USB Dongles (GSM & CDMA).